DB Groundworks is a block paving company based in Fareham, Hampshire that specialises in all aspects of block paving, patios, garden landscaping and turf laying. 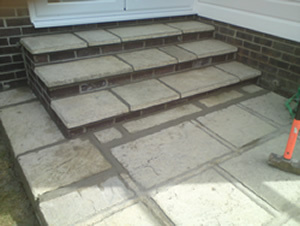 In addition DB Groundworks also provide jet spray pressure washing for your block paving, patios and such like. As a newly formed business our aim is 100% customer satisfaction. All block paving, garden landscaping and turf laying are designed and constructed to meet our customers particular requirements and choice. Copyright © 2012 DB Groundworks. All Rights Reserved.